Creating a prototype is often the key to creating a successful custom cable solution. You probably already know that creating a custom cable with a reputable cable assembly manufacturer is a great way to make sure the finished cable is tailored to the needs of your equipment or product. If you were using an off-the-shelf cable, testing it out on your equipment might be as simple as purchasing one and plugging it in. However, if the cable is custom, it’s a little more complicated. With all the options available when creating a custom cable, working with a cable assembly manufacturer on prototypes can be incredibly useful. Not only can it help eliminate assumptions when selecting materials, but it can also help you streamline the production of larger quantities. Because a prototype is a full-scale version of the design that is, in many cases, fully functional, producing a prototype will allow you to see and feel how it will function in the real world. This ability to manipulate a physical product can help you make determinations about the functionality that go beyond technical capabilities. For example, being able to test the extension and retraction of a coil cord prototype can reveal design flaws that might otherwise go unnoticed until much later in a project when they are harder to correct. Choosing a cable assembly manufacturer with in-house capabilities means you are often able to have a cable prototype to work with quickly. While the availability of the appropriate materials is always a consideration when estimating the time a prototyping project will take, a manufacturer with extensive experience can often provide you with a more rapid turnaround. 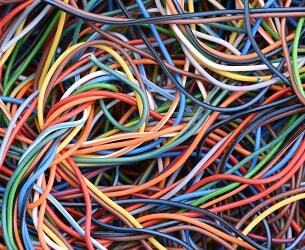 It doesn’t make sense to extrude large quantities of a new cable design design without testing. A prototype allows you to produce multiple iterations of a cable to ensure it is ideal for the equipment and environment where it will function. Thorough testing of a new cable design at the prototyping stage can go a long way toward eliminating headaches further down the road. This may include issues in the product itself or the production process. Producing a prototype is often a critical step in designing a custom cable assembly, because it allows you and the design team to address issues before they balloon into expensive or even dangerous problems. Working with a custom cable assembly manufacturer experienced in producing high-quality prototypes in a timely fashion gives you the opportunity to create a finished product that is virtually guaranteed to fit the specifications of your equipment. If you’re ready to talk about your next project, contact the team at Meridian Cable. We look forward to hearing from you. 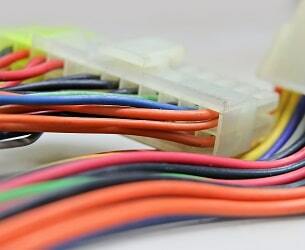 Safety should always be the top priority when creating custom cable assemblies. Sourcing custom cable assemblies from a reputable manufacturer is the best way to ensure your equipment or product is free of safety issues. While there are situations when an off-the-shelf cable assembly makes sense for your budget and the cable’s application, it is essential to carefully consider how using an assembly that is not customized will affect the overall success of the project. Any time you are dealing with electricity, safety is key. Faulty cable assemblies made from improper materials can cause equipment damage, which can lead to expensive repairs. In addition, you will experience lowered productivity while the damaged equipment is being repaired. That may be the best-case scenario. Low quality cable assemblies can cause bigger problems, like environmental harm and safety issues from toxic smoke or electrical fires. The best way to prevent these issues is to make sure you are using a custom cable assembly designed by a safety-focused cable manufacturer. But how can you know a manufacturer is focused on safety? One of the best ways is to be sure to ask about certifications as well as testing procedures when you are discussing your project. An honest conversation about how the manufacturer ensures a safe product can save you more than just headaches. It could prevent lawsuits or even serious injuries. 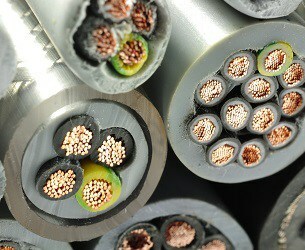 When going through the design process, be sure to discuss materials that will be used in your custom cable assembly. Choosing the right gauge and material for the conductor is key for functionality and safety. 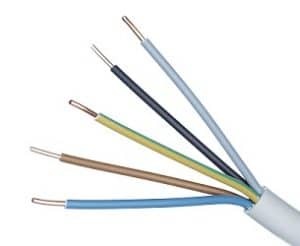 However, making good decisions when it comes to insulation and jacketing can also be the difference between a safe custom cable assembly and one of questionable quality. While there are many components that could affect the safety of custom cable assemblies, talking about conductors, insulation, jacketing, connectors, and strain relief is a great start. Copper is the most commonly used conductor, but that doesn’t mean that it’s the right material to use for your project. Because it is prone to corrosion, it is necessary to consider whether plating or copper alloys might be more appropriate choices. Another consideration is whether your equipment would be better served with a solid or stranded conductor. Clear industry standards exist for the appropriate insulation and jacketing to use in specific applications, so be clear about the conditions your finished cable will be operating under. Does the cable need to perform in extreme temperatures? Under heavy pressure? In wet environments? 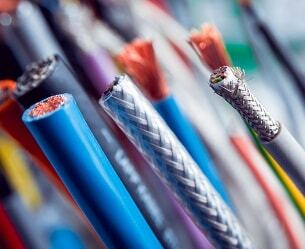 The answers to all of these questions will help your cable manufacturer choose the right materials. The terminal points of a cable can be common failure points due to the additional stresses in those areas. 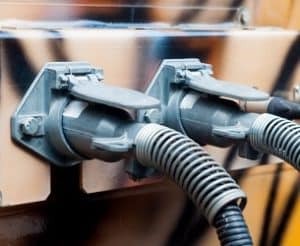 While the technical needs of the equipment often drives the choice of connector, additional strain relief can prevent termination failure. If additional strain relief is needed, the cable assembly designer can add a transition point that alleviates some of the added stress. Using custom cable assemblies is often the best way to build safe products or maintain safe equipment. When you are talking to a custom cable manufacturer, don’t be afraid to bring up safety. Engineers should be ready and able to discuss how they are ensuring a safe product. If you are ready to talk about a new project, please get in touch with the team at Meridian Cable. We would love to hear from you. 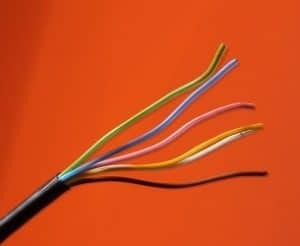 So, you need a custom cable, but don’t know what to look for in a cable assembly manufacturer. One cable assembly manufacturer is not necessarily the same as another. Each has specific capabilities and experience that make them the right choice for designing and manufacturing different types of cable. But how do you even begin the search if you don’t know what questions to ask or information to provide? Over the years, Meridian’s engineers have come up with a method to quickly determine what kind of cable assembly a customer needs that could be helpful when you are given the task of finding a wire and cable manufacturer. The Meridian team starts with the simple assumption that all cable assemblies carry power or signal from one end to the other. The first step we take is to find out which the assembly needs to carry, or both. Since we extrude our own cable, we can handle any of these scenarios, but there are some power or signal cables we can’t make. Determining that from the beginning is critical for us and should be for you as well. Power, for the most part, is easy to determine. The more power a cable needs to deliver, the more conductive material it requires. For example, it’s easy to pass 1 amp of current through a 24 awg conductor that is 1 foot long. However, bad things can happen very quickly if you try passing 20 amps through a 24 awg conductor. We don’t make high power cables at Meridian. If the power transmission requirements are above about 40 amps, we are upfront with the customer about our capabilities. Since we’ve been around long enough to know which companies do extrude high power cables, we will happily share that information. It should be noted that, with power, often all you need to know is the voltage and current. In many cases, customers don’t have this information, but they do know what is on either end of the needed assembly. Most times, we can make a rough determination of the voltage and current by knowing what devices the assembly is connecting. From there, the design can be narrowed significantly enough to get the process moving. Signals, for the most part, are complicated. Sure it’s all data, but new ways of transferring data are created all the time. For example, think of your TV 10, 20, or 30 years ago. (Some of us here at Meridian are old enough to remember TVs 30 years ago.) 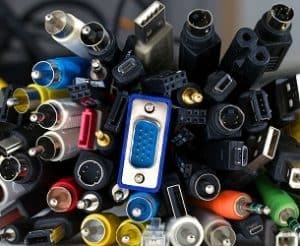 The number and types of connectors on the backs of TVs have changed radically over the years, but all those connectors pass signals. 30 years ago, it was not uncommon for two wires to come from an antenna on top of the TV or up on the roof. All the antennae cable passed was the image that appeared on the screen — without any data about time, channel, audio, etc. Now, the typical input is an HDMI cable that carries a ton of data — some slow, some fast, but all signals. 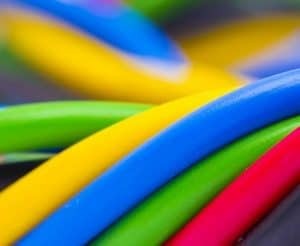 It’s vitally important to communicate what types of signals your cables need to carry at the beginning of your search for a cable assembly manufacturer. For example, Meridian is capable of manufacturing a wide variety of cables that carry signals. However, we are not able to make coax cables that carry signals in the high gigahertz range. Having candid initial conversations with clear requirements can save you a lot of time. The good news is you don’t need to know the exact technical parameters or specifications that will be transmitted for cable. Often, knowing the gadgets to be connected to the cable assembly and any standards the signals must conform to helps the Meridian team determine whether we can make the cable or not. If we can’t, we’ll be happy to let you know companies that can. Can samples be made with off-the-shelf cable? If yes, then you can go to a lot of different vendors. If not then you need a vendor who can extrude cable, like Meridian. Does the cable need to carry signal, power or both? If only signal or power that makes it a lot easier to find a vendor. If it needs to carry both then a custom cable extruder like Meridian might be needed. If power is needed; how much? This can be expressed in technical terms (voltage/current) or by knowing what items need the power. For example, a cell phone, data input tablet, fork truck or nuclear power plant. If signal is needed; what kind? Many signals have technical names/specification numbers. If those are known the problem is solved and if not knowing the devices passing/receiving the signal will go a long way in determining what is needed. Lastly, how many assemblies are needed? This can be as low as one up to millions. It can be several for prototype, then more for Beta/First Articles/PPAP, and then on to production quantities. All vendors have a volume sweet spot. Knowing the quantity can often help save valuable time ruling vendors both in and out. Hopefully this very simple guideline helped. (Apologies to any engineers who read this and found some of it is not technically pure. We’re happy to talk more technically…maybe a little too happy.) 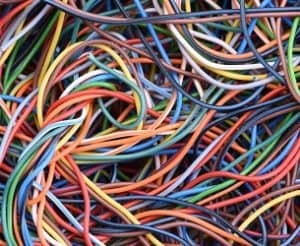 Obviously, there are many items to consider when designing and producing a custom cable assembly. 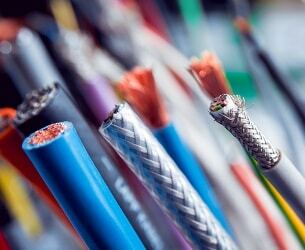 This basic approach will help make the process of finding the right cable assembly manufacturer a little easier. At Meridian, we have experienced designing and extruding a wide range of custom cables. If you’re ready to talk about what we can do for you, please get in touch.